SEOcertification.org Blog	» Blog Archive » Organic Results Disappear? What To Do Next! Organic Results Disappear? What To Do Next! In an industry like organic search engine optimization, the pieces never stop moving for long. We’ve just begun to see the impact of artificial intelligence on marketing and the world. AI is ramping up with businesses in general, but surveys vary widely on how many organizations have implemented AI in their operations so far. Statista found 5 percent while Narrative Science reported a whopping 61 percent of survey respondents saying that they were using AI in 2017. AI is impacting search much faster. Search engines have been driving AI at full throttle for years. Google’s complex algorithms can now improve on their own, thanks to machine learning powered by artificial intelligence. With AI, the search engines — and eventually businesses in general — can evolve at a superhuman pace. What’s good for the user. When I try to anticipate where SEO is going, the most important question I ask is: How will Google make money? Remember when we saw Google move ads out of the sidebar? That was in February 2016, and Bing followed suit in March 2018. Organic listings felt the pinch as the space at the top of a SERP opened up to allow up to four paid ads. But the disappearance of organic results above the fold had just begun. A “local pack” complete with map entered the SERP picture. It gave local businesses a chance to show up organically on Page 1 when the searcher was physically nearby. The local pack did push other top organic results (such as national brands) farther down the page for certain queries. On the upside, it also created a whole new field of competition that many SEOs welcomed. But Google needed to make money … enter local search ads. 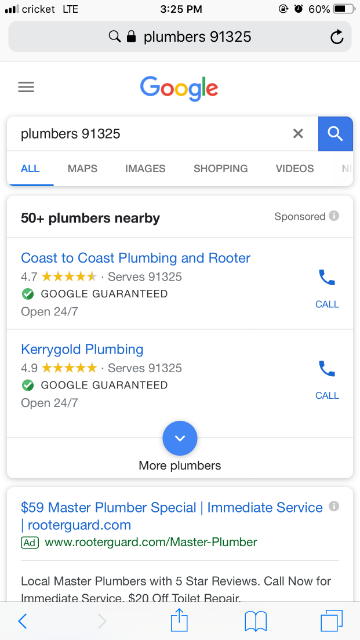 These ads often appear above organic listings in the Local Pack and map results, especially for mobile users. More ads directed at local businesses arrived. 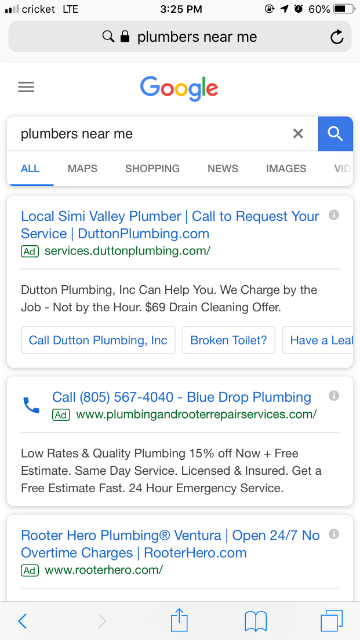 Google Home Services, now expanded and rebranded as Local Services ads, feature many types of local businesses vetted by Google. LSAs play to both priorities, helping users and profiting Google. And they appear right at the top of the SERP — filling the above-the-fold space with non-organic listings. 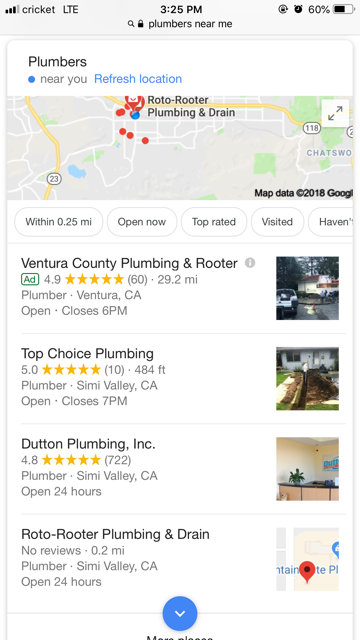 For many queries, the space given to local listings offers mostly ads. A slew of other changes have arisen in the same way … first as an organic feature, and then converted to a space for revenue-producing ads for Google. Folks, organic listings will soon disappear above the fold. What’s an SEO to Do? Use structured data elements and structured data markup.Doing so will help you grab featured snippets. In turn, your content becomes more likely to come up in text and voice search results. Answer questions in your content. This can help you rank for long-tail queries and show up as the answer under “People also ask” questions. Be optimized for local search, if applicable to your business. Serve site visitors well, with great content and a positive experience. Give visitors what they want pain-free, and they may come back on their own. Looking at the future of SEO, I have one more piece of advice to add to this list. 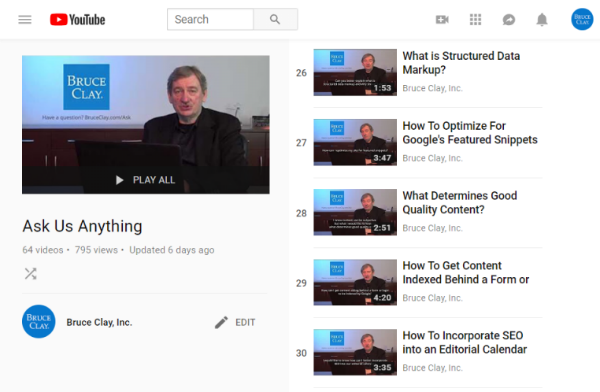 Videos appear prominently in Google search results, especially for queries with a “how to” intent. All these video links fill the space above the fold. They count as “organic” results. However, when you click a YouTube video result, what do you see first? You see an ad. Since video results create ad revenue for Google/YouTube/Alphabet, organic has ads! Videos often answer questions more efficiently than any other format. From how to use a staple gun to how to grow your business, you’d probably rather watch someone tell you how, in living color, than read an article looking for the answer. And you’re not alone. In one year, YouTube viewers spent over a billion hours watching just videos with “how-to” in the title. That’s according to YouTube executive Malik Ducard. YouTube sees more than an ad opportunity here. It’s launching a new YouTube Learning channel with a $20 million investment. In addition to supporting independent content by “Edu Tubers,” the channel plans to showcase original educational programs made by YouTube, as well. Video search results can make the Google family of companies more money than ever. Recently, YouTube started counting an ad “view” at only 10 seconds, not 30. 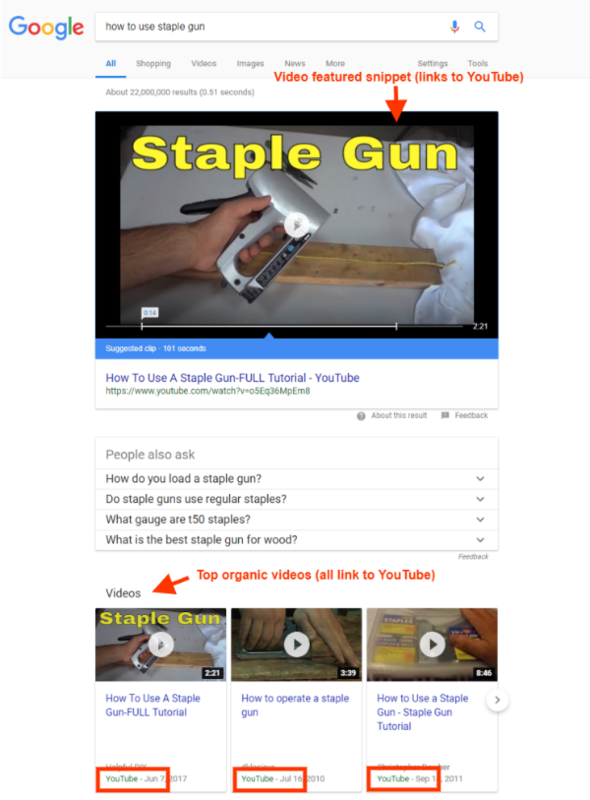 With Google making money indirectly through “organic” video results, I predict that videos will rank more and more prominently in search results. That’s especially true for how-to types of queries. Case in point: We produce our Ask Us Anything series as a playlist on our YouTube channel. Each video answers a specific question about SEO, PPC, content or social in a short video. People can submit their digital marketing questions. Our Ask Us Anything playlist is growing, now at 64 videos and counting. We’re making lots of videos that answer questions for users. At what point does Google become all ads, and “free” organic results become a billable premium service? With voice search, AI will make the spoken results better — and Google will need to charge for answers since nobody will see the SERP ads. The way Google implements changes over time is seen as evolutionary, not revolutionary. The result? People will not know that all that appears above the fold is ads. Ads will always be needed for search engine revenue. Organic results will be pushed down, or become something people pay for. This means organic results will disappear above the fold.